University of Montana scientists have published a study in the journal Nature Ecology and Evolution showing that bacterial diversity may stick around millions of years longer than previously thought. The researchers, in UM's Division of Biological Sciences, were led by Associate Professor Scott Miller. 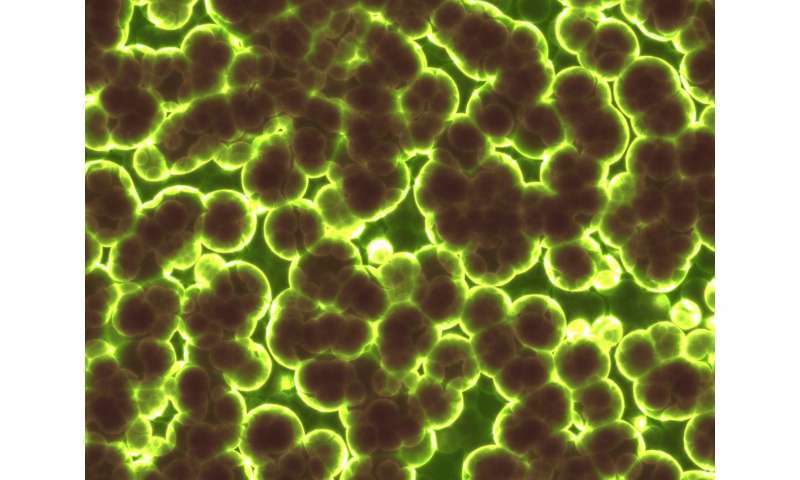 Bacteria have an amazing ability to rapidly adapt to environmental change. Innovation in these organisms, therefore, is thought to be predominantly recent, repeatable and transient. For example, during an outbreak of a bacterial pathogen, resistance to an antibiotic may independently evolve multiple times, yet quickly be lost in the absence of the drug. While studying a multicellular bacterium from a hot spring in Yellowstone National Park, the researchers found that upstream and downstream members of the population produce functionally different kinds of specialized cells called heterocysts. "It looks like variation in temperature favors different types of heterocysts," Miller said. The team also unexpectedly discovered that this diversity has a surprisingly long history. "By looking at the same bacterium from around the world, we traced back the origin of these different heterocysts tens of millions of years," Miller said. Bacterial populations often are incredibly diverse, but scientists disagree about whether this diversity is mainly due to chance or is actively maintained. This study raises the question of whether maintenance over extraordinary time scales may play a more important role in the distribution of microbial diversity than previously recognized.